OS X is designed by keeping in mind the ease of users and it does that in the best way, well most of the time at least. Just take this example, you are downloading a TV Show of a large size and in the middle of downloading it you have to leave for another city for some days. 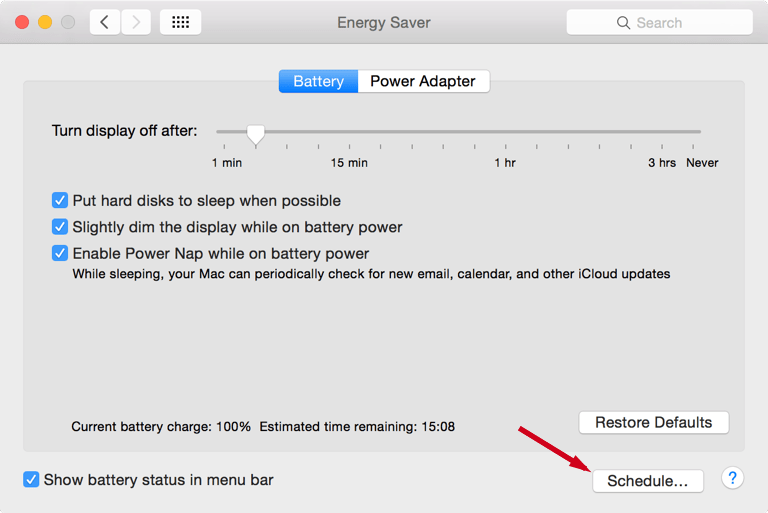 You can simply schedule your Mac to shutdown at a specific time by estimating the remaining download time. And unlike Windows, you can do this in a few easy steps. 2. Click Energy Saver option. 3. In the new window click the “Schedule” button located at the bottom right. 4. 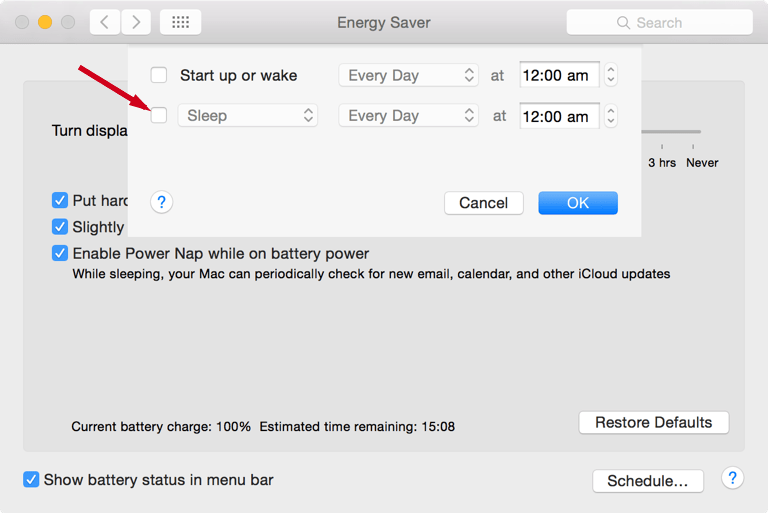 Now check the box before “Sleep” option. 5. Next select “Shut Down” from drop down menu. 6. Set the day and time and click “Ok”. You’re all done! 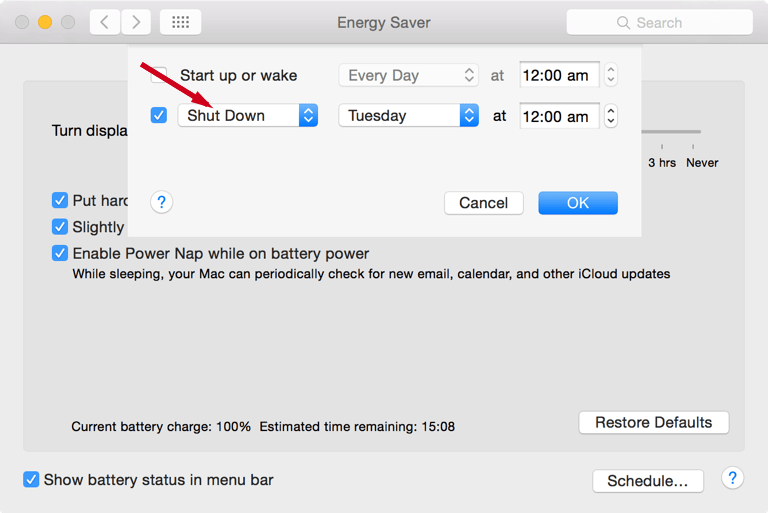 You can also set start up, sleep, or restart time in the same way.